To participate in athletic activity in order to both develop the body as the temple of the Holy Spirit and to foster Christian fellowship and competition with other Orthodox Christian both within the Parish and throughout the Metropolis. Metropolis of Chicago Basketball league which is composed of Middle School, High School Girls and High School Boys teams. The season begins in Mid-October and ends with the Championship Game on Cheese-fare Sunday. 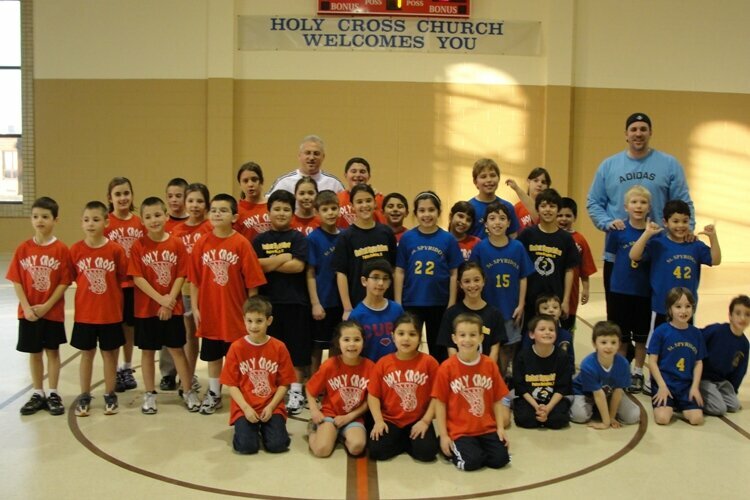 A Parish league where children from pre-school through sixth grade come and learn the basics of basketball while learning about Christian fellowship. The program begins in November and ends on the Saturday of Cheese-fare week from 2:30 p.m. through 4:00 p.m. each Saturday. Metropolis Athletic program organized for young people of all ages. Over 50 Parishes throughout the Metropolis participate in this three day athletic competition. It is held on Memorial Day Weekend and is hosted by the Church of Saints Constantine and Helen in Palos Hills, Illinois.